To be perfectly blunt and straightforward, annexation is one country stealing territory from another. Period. Sometimes they have good reasons for doing so, other times not so much, but either way, it’s stealing land and that’s the bottom line. There have been several major annexations throughout history, so let’s take a look at some of them. 1581: Russia annexed Siberia (a long process taking over 20 years to complete). This came as a result of decades of Russian expansion into this territory and was largely successful because the Russian army was more organized and more powerful than the non-united armies of the various Siberian feudal territories. 1783: Russia annexed Crimea. (Wait, what? This has happened before?? Yes, yes it has.) The Tatars, who controlled the region at the time, had been in charge for nearly 350 years and were subjects of the Ottoman Empire. The Ottomans granted Crimea independence in 1774 following a six-year war with Russia, and nine years later, the Russian Empire formally took it over. 1833: Britain annexed the Falkland Islands. The Portuguese claimed them after their discovery in 1516. Over the next three centuries, Britain, Holland, Portugal, France, Argentina and Spain argued over the ownership of the islands, but all that was settled by formal British annexation. Argentina attempted to annex the islands in 1982, and Britain responded militarily, winning a 74-day war and retaining control of the islands. 1844: The US annexed Texas, sparking the Mexican-American War two years later. At the time, the US claimed the annexation was meant to protect American settlers in the region. Texas had declared its independence from Mexico in 1837. 1848: France invaded Algeria in 1830 in a blatant attempt to distract French people from the poorly-run Bourbon restoration that resulted in putting Charles X on the throne. France invaded the city of Algiers, then proceeded to take over the rest of the country, formally annexing the North African nation after 18 years of war. 1898: The US annexed Hawaii after several years of agitation that looked like it would result in a reinforcement of the authority of the Hawaiian king. The US couldn’t afford to lose its prime naval base in the Pacific during its brief war with Spain, so President McKinley ordered the annexation of the islands. 1908: Austria annexed Bosnia/Herzegovina. You don’t hear much about Austria these days, but in 1908, they were the Austro-Hungarian Empire and they were total badasses in Europe, throwing their weight around like a prizefighter. Russia & the Ottoman Empire loudly protested this annexation, even threatening war; diplomatic relations between Austria and Russia suffered greatly, no doubt contributing to the unpleasantness that cause World War 1 a few years later. Of all the annexations in this list, this one is the most similar to the current annexation crisis of Crimea in that one nation is acting unreasonably and many others are criticizing it for those actions, but nobody can really do anything about it. 1910: Japan annexed Korea. Korea signed a “protection treaty” with Japan in 1905 and gave up its autonomy (with another treaty) in 1907, so the annexation was really just a formality. Japan was forced to give up Korea following World War 2. 1914: Britain annexed Egypt and Cyprus. The annexation of Egypt was a formality; the British had occupied Egypt as a colony since 1882, mainly to support its continued use of the Suez Canal for trade and the transit of warships. Egypt finally and truly gained its independence following World War 2. Britain annexed Cyprus as retaliation against the Ottoman Empire for it siding with Germany in World War 1; a year later, Britain offered to give the island to Greece, but Greece wasn’t interested. Following WW1, Turkey (what remained of the Ottoman Empire) recognized Britain’s annexation of Cyprus. The island became independent in 1960, but Turkey and Greece have fought over it since then. Unsurprisingly, anti-British sentiment remained high in both places for some time after the end of colonial rule. 1938: Germany annexed Austria in a move referred to as the Anschluss – Nazi Germany’s explanation for the move was that Austrians were ethnically Germans, after all, and since they were all one people, they should be one nation as well. Like Russia’s current annexation of Crimea, the German annexation of Austria was preceded by a referendum in which Austrians were expected to overwhelmingly vote to remain independent. German troops occupied Austria to prevent any shenanigans with the vote. The leader of Austria resigned, essentially acquiescing to the annexation. 1961: India annexed Goa, Daman & Diu, small Portuguese territories located in India. They were Portuguese colonies before that, dating back to 1510, when European expansion in Africa & Asia was rampant. India viewed these annexations as ousting the final remnants of colonialism – after all, India gained its independence from Britain in 1948, so they felt another European country holding property within its borders was inappropriate. A brief war resulted in Portugal begging the UN to do something. The UN tried to intervene, but was, as usual, ineffective. 1975: Indonesia annexed East Timor, resulting in a lengthy guerilla war that lasted until East Timor regained its independence in 2002. East Timor was a Portuguese colony until a big change in 1974 resulted in Portugal basically giving up all its remaining overseas colonies. East Timor tried to govern itself briefly, but after the annexation fell into rebellion against its new overlords. 1990: Iraq annexed Kuwait, leading to the First Gulf War. Kuwait’s independence was quickly restored by an combined force led by the US. We don’t even really call this an annexation – we call it an invasion. In reality, it was an attempt at annexation, just one that went poorly for the annexer. 2014: Russia annexed Crimea… again. This is kind of an ongoing situation that, if everything goes horribly wrong, could lead to World War 3. I guess we’ll find out soon enough. Just the facts, ma’am. What do we really know about Crimea? Crimea is a peninsula that extends into the Black Sea; it separates the Sea of Azov from the Black Sea. It is connected to Ukraine with a thin strip of land. It is not physically connected to Russia at all, but ferry service does exist. The most important city in the Crimean peninsula is the port of Sevastopol; the largest is its capital, Simferopol. The resort town of Yalta, where an important meeting between the USA, UK & USSR took place during WW2, is in Crimea. Crimea is about 10,000 square miles in size, smaller than Massachusetts by about 500 square miles. About 60% of Crimea’s 2 million inhabitants identify as ethnically Russian; about 25% identify as Ukrainian. Both Russians and Ukrainians in Crimea who practice Christianity overwhelmingly identify as Orthodox Christians. The Tatars, who are Muslims, make up about 12% of the population. Crimea has its own government and operates as an autonomous republic associated with Ukraine. Its legislature has 100 members and its president functions much like a governor does in the US. The Crimean War, which started in late 1853 & lasted about two & a half years, saw Russia fighting against an alliance made up of France, England, Turkey (which was called the Ottoman Empire back then) and Sardinia. Austria was technically neutral in this war, but did serve to help the allies in several ways. The famous poem “The Charge of the Light Brigade,” written by Alfred, Lord Tennyson, is about the literal charge of the British Light Brigade during the Battle of Balaclava in 1854. The actual charge of the Light Brigade was a devastating suicide attack made by a small cavalry unit against an entrenched Russian artillery unit and brought about by a miscommunication between unit commanders. The Crimean War was effectively started by Russia, who claimed to be protecting the religious rights of Orthodox Christians living under Ottoman (Muslim) rule in the region. The war itself was more about whether Russia or the Ottomans got to control the Black Sea; in that respect, Russia clearly lost the Crimean War, because their Black Sea fleet was devoid of Russian warships following the war. Finally, if you’ve ever heard of Florence Nightengale, it’s because of her work during the Crimean War. 1917: Crimea declares independence from Russia following the Russian Revolution. 1920: The White Russians make their last stand against the Reds in the Russian Civil War in Crimea; they lose. 1921: The Soviet Union effectively abolishes Crimea’s independence, turning it into the Crimean Autonomous Soviet Socialist Republic. 1945: Crimea’s autonomous government is abolished & the peninsula officially becomes part of Russia. 1950s-60s-70s-80s: Crimea serves as a prime tourist destination for citizens of the various SSRs. 1954: Nikita Khrushchev, the premier of the Soviet Union who is in the process of destalinization, more or less apologizes to Ukraine for the behavior of Stalin in the 1930s & 40s by giving them control of Crimea. Realistically, since Ukraine was controlled by the USSR anyway, this was just a symbolic gesture. 1967: The USSR apologizes (somewhat) for the removal of the Tatars, but prohibits them from returning to Crimea. 1991: The USSR collapses and the component SSRs begin to form independent nations. 1992: Crimea declares independence, but soon after rescinds its declaration & commits to remaining an autonomous part of Ukraine. 1993: Tatars begin returning to Crimea. Strict quotas are upheld. 1994: Ukraine makes a deal with the USA, the UK & Russia to ensure the safe (and hopefully complete) turnover of nuclear weapons formerly owned by the Soviet Union but deployed in Ukraine. Ukraine’s sovereignty is basically guaranteed by the US, but Russia agrees to honor Ukraine’s borders. 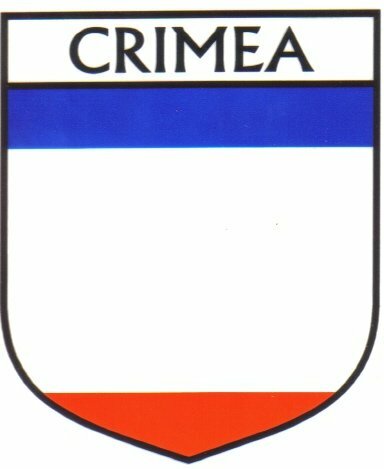 2008: Russian officials reportedly start giving Russian passports to ethnic Russian citizens of Crimea. This is roundly criticized (and not just by Ukraine), as Russia has stated many times before its willingness to protect Russian citizens by force. The passport, naturally, is an identification of citizenship. 2009: Ethnic Russian citizens of Crimea stage anti-Ukraine demonstrations. 2014: Russia invades (peacefully, so far) Crimea, issuing an ultimatum that Ukraine’s military forces stand down… or else.